How does that sale affect the value of your home? The Grove Team has a great tool that offers you up to date neighborhood real estate information. Receive monthly updates through the Market Snapshot and have at your finger tips an overview of homes near you that have sold and are for sale. The best part? It is easy to sign up, FREE and there is never any cost or obligation. 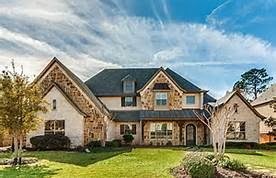 Looking for a one-story home in Colleyville, Texas? The single-story homes for sale in Colleyville are usually limited to one of two types: older construction built in the 1970s and 1980s and newer construction with smaller square footage and lot size. The development of Colleyville as a city explains these two patterns. The city that is now Colleyville began as a series of small settlements in the 1860s. The names of those settlements will be familiar to those who live in Colleyville: Spring Garden, Bransford, Pleasant Glade, and Pleasant Run. Incorporated in 1956, Colleyville remained a primarily rural community with acre and larger lots until the 1970s. The homes built in the 70's and 80's are now for sale, and many single-level homes--often referred to as "ranchers"--fall into this group. Additionally, villas and zero lot line homes comprise most one-story homes currently being constructed. 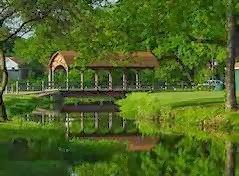 Colleyville's affluence, safe neighborhoods, and green space attract aging Baby Boomers and retirees to smaller homes with quality finish out and less maintenance. The villa lifestyle can be found in homes under construction in the Enclave at Arbor Estates and the Villas of Colleyville. Larger single-story homes are being built at Lavaca Trail Estates and the Black Court development. 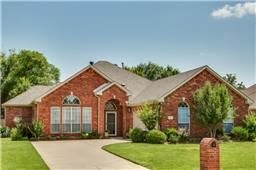 If you are looking for a one-story home in Colleyville, the experienced agents on the Grove Team can help you find it. Looking for a single-story home in Southlake, Texas? Southlake offers the best selection of one-story homes in Northeast Tarrant County. A buyer can find a home from the 70s and 80s on acreage, a villa or garden home on a quarter of an acre built in the past five years, or an estate on acreage. Of course, Southlake's real estate prices are among the highest in our area, but a variety of types of properties are available. On the lower end of the price range, a mobile home from 1983 on a .46 acre lot is listed at $161,000. A duplex--extremely unusual in Southlake--could be purchased for $420,000. Finally, a 3,700 square foot "mini-luxury villa" is under construction and listed for $740,000. There are 22 one-story properties available at this writing. However, stay up to date with the current market by clicking this link. Regardless of the type of property you want, the experienced agents on the Grove Team will work with you to locate the property you are seeking. Are you looking for a one-story home for sale in Keller, Texas? Currently 40 owners of one-story homes are offering their homes for sale in Keller. Single-story homes vary widely in Keller, though not as much as in Southlake. 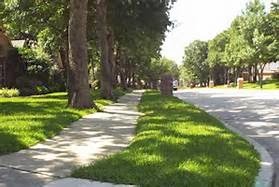 Lot size and age are the two greatest variables when searching in Keller single-level homes. As with most cities, the history of development explains the size, age, and lot size of properties. Subdivision development began in south Keller. For that reason, older properties from the 1970s and 1980s on smaller lots are, for the most part, located south of Keller Parkway between Bear Creek Parkway, Highway 377, and Rufe Snow Drive. However, some neighborhoods, such as Meadowlands and Bluebonnet Trails sit slightly north of Keller Parkway but west of Rufe Snow. North Keller remained more rural until later, so older single-story homes on acreage are located north of Keller Parkway. New construction of single-story properties on lots greater than one-half acre continues to be predominantly located in north Keller. Silverleaf, Providence Grove, and Silver Lake offer some possibilities, but most lots in those subdivisions are from one-quarter to one-third acre lots. Builders are taking advantage of the changing demographics and aging of the population to introduce the construction of patio homes, villas, and garden homes in south Keller. An expanded inventory of new construction and resale homes are now available. Searching for a single-story home in Keller, Texas? A creative and tenacious agent from the Grove Team can help you locate the right property, even in a seller's market. Are you looking for a one-story home for sale in Grapevine Texas? Single-story homes are thought to be less expensive to heat and cool. Especially in the south, second floors tend to collect heat and require more energy to maintain cooler temperatures. Parents of young children don't look forward to encountering stairs every time a mitten or shoe can't be located by a child. More and more Americans are planning to age in place. While they might not mind stairs now, they are purchasing with the next twenty years in mind. More and more households include an aging parent who is unable to deal with stairs. Living in Grapevine offers many advantages, no matter your age. 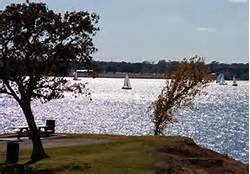 With the wealth of outdoor opportunities offered by Lake Grapevine and city parks and trails to indoor pastimes like shopping, visiting art galleries or museums, Grapevine offers a marvelous lifestyle. 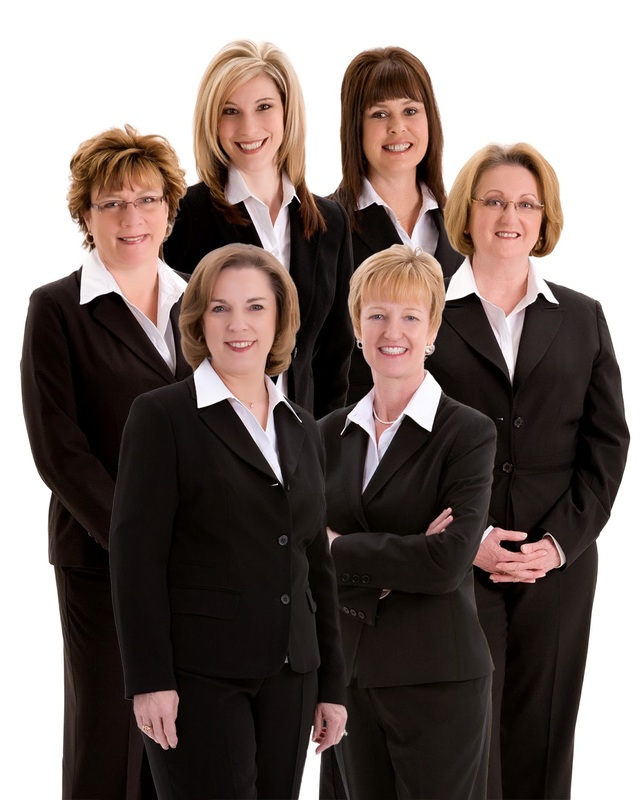 No matter which type of home you choose, the experienced agents on the Grove Team can help you find it. Looking for a one-story home for sale in Trophy Club, Texas? With its golf club community atmosphere and tranquil location, Trophy Club seems perfect for retirees and aging Baby Boomers. At the same, its wide streets, safe neighborhoods, and excellent schools make Trophy Club ideal for families with smaller children. Those two age groups are the most likely to request a single-story home. However, when Trophy Club was developed in the mid to late '80's and '90's, two-story homes were in demand, and the majority of homes built at that time were two-story. Trophy Club has enjoyed a renaissance of new construction since approximately 2006. However, builders of new homes have continued to build primarily two-story homes. While one-story homes are extremely popular today, the continued preference by builders toward two-story homes seems to be governed by Trophy Club's relatively small lot sizes: a lot size of more than 1/3 of an acre is unusual. Think Trophy Club sounds like a place you would like to be? Search for homes in Trophy Club through our website! If you're looking to purchase a home in Trophy Club, please call the Grove Team at 817-337-0000. Our experienced agents will assist you in locating the perfect home, even an elusive one-story in Trophy Club. 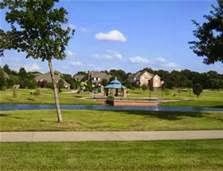 Are you searching for a single story home in Keller, Texas? With the changes in the demographics in the United States, more and more consumers are purchasing homes without a second floor. They don't want to climb stairs to access bedrooms, game rooms, and studies. At the same time, as home buyers eliminate stairs, they also want to avoid the maintenance and expense of a swimming pool. Keller, Texas, is no exception to this trend. More and more Realtors are asked to locate one story homes without a second story or a swimming pool. Currently in Keller, Texas, there are 39 homes for sale that meet this description. They range in price from $107,500 for a home with approximately 1099 square feet built in 1973 to a 6,773 square foot home priced at $894,000. The smaller home with the lower price will sell within days--perhaps hours--while the larger, more expensive home has been on the market for 364 days as of today. The most significant difference, of course, is that there is a larger pool of buyers in lower price ranges. However, some of the larger properties have been overpriced for some time, and even in today's seller's market, they will remain on the market until the price is appropriate. 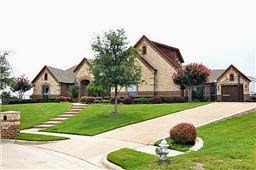 If you are looking for a home in Keller, Texas, with or without a pool, please contact the Grove Team. You will find an experienced agent with in-depth knowledge of Keller, Southlake, Grapevine, North Richland Hills, Trophy Club, and the Alliance Corridor. Looking for a one story home in Southlake, Texas, without a pool? Known for its acclaimed schools and affluence residents, homes have tended to be opulent estate properties or two story homes large enough to accommodate families. 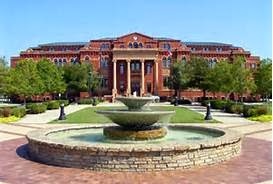 Because of its excellent schools, Southlake attracts many families with children. Larger families usually find that two story homes better fit their lifestyle than one story homes, and pools are considered desirable by households with children and teens. Southlake also appeals to those wishing to build palatial estates because of its availability of undeveloped acreage and convenient access to Dallas. However, the changing demographics of the nation, the attraction of the shopping and dining at Southlake Town Square, and Southlake's proximity to the DFW mean a larger market is developing for one story homes without a pool in Southlake. Southlake attracts its share of retirees, and the condos at Watermere present a terrific option for those downsizing and looking for a retirement lifestyle. Of the one story homes in Southlake, Watermere residences will compose more and more of the available inventory as the complex is completed. Another possibility for those seeking a simpler lifestyle with less maintenance but not as self-contained as Watermere is Tealwood, a luxury patio home development. Located off of East Continental Boulevard, Venetian Homes, a prominent local custom builder, offers new construction with smaller homes and lots. New construction and resale homes in Crescent Royal in Timarron will present the best possibilities for the next few years for those seeking luxury without the inconvenience of maintenance. Otherwise, the single story homes without a pool are usually older homes--constructed in the '70s and '80s--with acreage that are sold to make way for multimillion dollar estates. 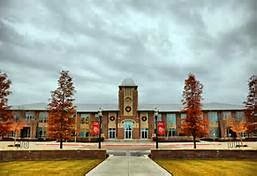 Are you searching for a home in Grapevine, Texas? Grapevine impresses newcomers to Northeast Tarrant County with its history, art, shopping, restaurants, and a myriad choices of attractions and activities. Grapevine offers a spectrum of entertainment from restored Historic Downtown Grapevine to the Gaylord Texan Resort. 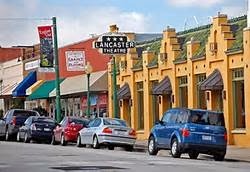 No matter what your interest--from art galleries to watersports--chances are you will find something to do in Grapevine. Of course, a city with so much appeal to so many visitors would attract prospective residents. The supply of homes at this time is about one to two months. The median home price in Grapevine in 2013 was $253,500, and there is every indication the price will rise in 2014. The Grapevine/Colleyville school district serves Grapevine, Colleyville, and parts of Hurst, Euless, and Southlake. The district maintains a reputation for excellence in academics and athletics. In the 2013 school year, the district continues its dedication to improvement with the Lead 2021-Leading Excellence-Action Driven program. The program was designed to encourage students through a supportive and proactive environment. The district boasts 11 National Blue Ribbon schools and both high schools have been recognized by Newsweek and U.S. News and World Report. Up to $250,000, there are 19 homes for sale. From $251,000 to $325,000, there are 16 homes for sale. From $326,000 to $425,000, there are 10 homes for sale. From $426,000 to $550,000, there are 7 homes for sale. From $551,000 to $850,000, there is 2 home for sale. From $850,000 up there are 4 homes for sale. 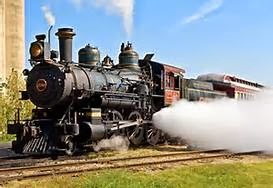 For current information on homes for sale in Grapevine, Texas, please click on this link. 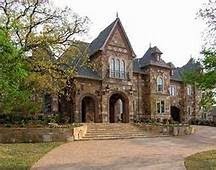 For current information on homes for sale in Keller, Texas, please click on this link. 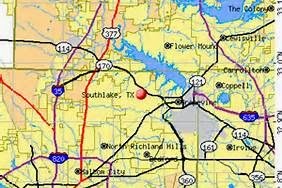 For current information on homes for sale in Southlake, Texas, please click on this link. 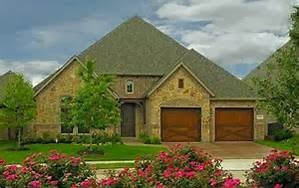 For current information on homes for sale in Colleyville, Texas, please click on this link. For current information on homes for sale in Trophy Club, Texas, please click on this link.